For new 3D printing enthusiasts: 3D printers runs off of so-called "gcode" files, which are generated from free software slicers such as Slic3r or Cura. Most modern printers (including Crealitys) can run their gcode prints either via an integrated SD or mini-USB slot for stand-alone printing, or from a seperate PC or laptop via the USB slot. 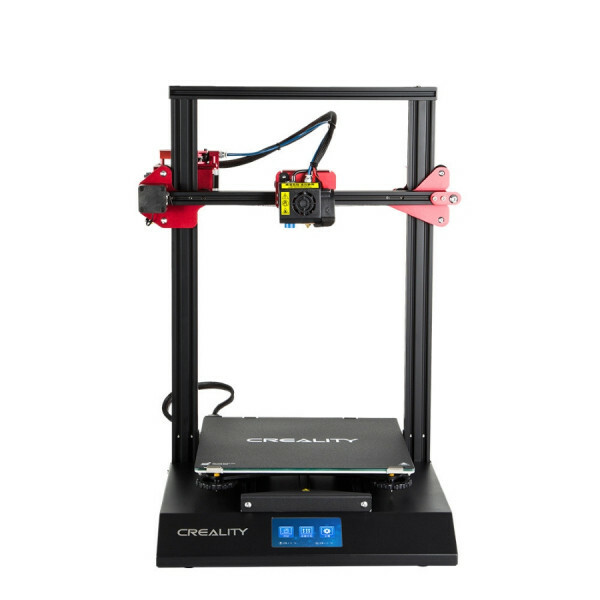 In case of power failure, Creality s printers have a "recovery" mode that allows for resuming the print from the LCD interface once power is restored, an essential sanity-saving feature to avoid the frustration of wasted time and filament. A small "starter" spool of filament is included in the kit, but it won t last long! We recommend including in your purchase a larger spool of Real filament or a multi-color [%insert name="link" type="PRD" src="/joomla/1728" content="PLA sample pack" title="PLA sample pack" %] to assist you in your upcoming exploration of all the colorful things you can print with your new Creality!